At Ed Simon Chiropractic we sell many different products at reasonable prices! Please come to the office to purchase them. Do you suffer from …Back pain? Neck pain? Many familiar, painful conditions stem from problems with the feet. The Spinal Pelvic Stabilizers have helped alleviate pain for millions of people. How? We believe the feet are the foundation of the body. 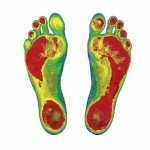 Correcting imbalances in the feet can correct imbalances throughout the body. We’ll will get an exact impression of your feet using a digital foot scanner. We’ll then determine which stabilizers are right for you based on the results of the scan. A variety of styles are available for all activity levels and shoe styles. The digital scan is sent to the Foot Levelers laboratory. Skilled technicians build your custom-made stabilizers using 16 precise measurements based on their analysis of your feet. Your lifestyle, age, weight and activity level are all considered when we create your custom-made stabilizers. The stabilizers are sent back to us and we will show you how to wear and care for them. We get an exact impression of your feet, using a digital foot scanner. Patients with certain types of spinal problems benefit from custom made orthotic support. You don’t have to experience foot pain to be prescribed stabilizers. In fact, imbalances may occur even if your feet feel fine. Before you know it, you’re suffering from pain and fatigue in other areas of the body, often due to postural misalignment that results from imbalances in your feet. Your spine is one link in a “chain,” with your feet as the base. Lack of stability in the pedal foundation can lead to distortions and a muscular stretching all the way up the spine. With foot pronation and the associated collapse of the arches in one or both of your feet, the base point of your body’s center of gravity shifts forward. This causes other parts of your body to try and compensate for this shift. Eventually, the head attempts to maintain its position over the vertical center of gravity, and therefore slides into anterior translation (movement straight forward). This can lead to pain and/or stiffness over time. The body’s overall stabilization efficiency is greatly reduced, and it must work harder to maintain a standing posture. Our Spinal Pelvic Stabilizers help stabilize your body by getting your feet back into correct position. 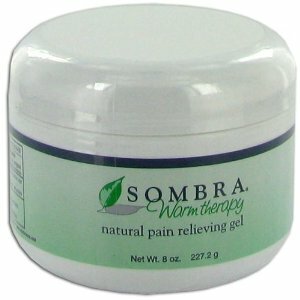 Improves muscle tone and helps reduce tension. 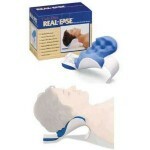 Oscillating movement relieves tension and relaxes muscles. Ideal for personal health, fitness and sports massage. Lightweight and portable. 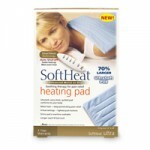 Ideal for home or clinical use. Solid Metal Handles with Rubber Grips. 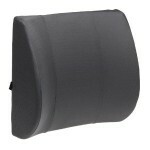 Comfortable Sturdy Padding. High and Low Intensity Control.